There’s still plenty of time to make your Christmas Pudding, but if you end up needing to make one on Christmas Eve there’s no need to panic – this recipe is the answer. 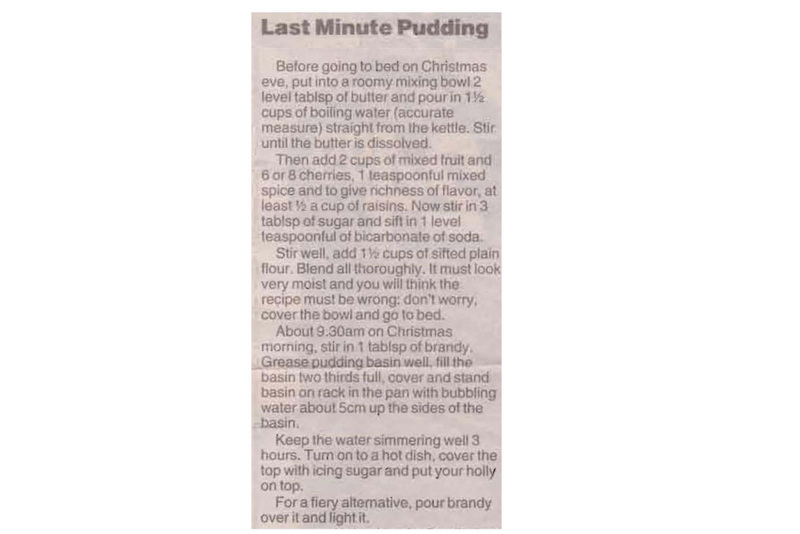 This entry was posted in All Recipes, Desserts and tagged 1990s, brandy, butter, christmas pudding, flour, fruit, last minute Christmas pudding, mixed spice, sugar by bebsrecipes. Bookmark the permalink.